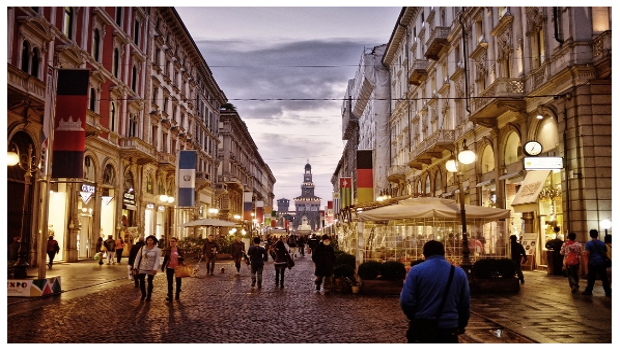 The city of Milan has always been synonymous with high fashion and famous designers. It’s no surprise that it draws people from all over the world in a steady stream of tourism and professional interest. What makes this city so unique is the way that it holds on to its old-world charm while staying at the centre of new and innovative design ideas. Travelling to Milan is no small feat. It takes a great deal of forethought and careful planning. Regardless of the reason for visiting the city, you’ll need to make travel arrangements on several levels. If you’re coming from overseas or from thousands of miles away—then the first step is choosing transportation to and from the airport. A busy airport terminal is a nightmare for people who don’t know their way around, and may be facing a bit of a time crunch. The last thing that anyone wants to do is stumble off of a ten-hour flight, make their way through a busy terminal, and then try and navigate public transit. This becomes exponentially harder when there’s a language barrier, or if flights are delayed or cancelled. Missing a check-in time at a hotel and then arriving late at night can make for an uncomfortable stay on an airport terminal bench. Scheduling problems can also throw a carefully planned public transit itinerary into chaos. One missed train or bus can cause a delay of several hours. This is why travelling by taxi is one of the most highly recommended ways to get around Milan. Hiring a private taxi service can take this a step further, creating an ultra-convenient method of personal transportation. Private taxi services allow you to plan your itinerary with them on a flexible and accessible schedule. A Milan airport taxi can completely eliminate the stress of getting to and from the terminals. Many services can tailor their services, and can be there whether a flight is delayed or cancelled. They can greet you, and help you to get out of the busy airport and to your destination with ease. This type of personal treatment is what makes these types of professional services such a valuable commodity to some travelers. Private taxis also give their passengers a more intimate view of the city. There are certain streets in Milan that are worth going out of your way just to drive or walk down. Via Montenapoleone is a street name that every avid shopper or fashion enthusiast should be intimately familiar with. It’s a beautiful location in Milan’s historical district—combining the newest trends with some of the oldest architecture. This meeting of the old and the new, along with the beautifully curated storefronts, creates a street that no one should pass by. Most people don’t think to dress in heels and designer apparel just to take a drive or walk—unless they plan on visiting Corso Venezia. This street has been home to some of the most sought-after fashion designers in the entire world. Every section boasts a tasteful elegance that inspires travelers in donning their best in an effort to climb the fashion hierarchy. Hiring a private taxi can allow you the freedom to enjoy all of these historic streets—even if you’d like to take the time for a walking tour. The Galleria is one of the most famous streets in Milan. The entire structure is housed under a remarkable glass ceiling, and boasts some of the oldest shops in the city. Some taxi companies offer, or arrange tours of the area. Read through the services offered on the company’s website, and you can generally find out whether or not they go that extra mile for their customers.